The HELiOS Document Management serves the purpose of central file storage. All data that are created during the development of a product - emails, drawings, sales documents, calculation results – are available here, in a clearly structured and permanently updated manner. Search functions support you with your retrieval of data. All detected documents can be instantly visualized and printed via the HELiOS Plot Management – across departments and locations all over the world. HELiOS Process Management ensures a safe and precise information flow by regulating complex processes such as access rights control, version control, indexing, document distribution etc. Necessary process steps, work instructions or other information are automatically generated and forwarded to the responsible employees – either time- or event-controlled. 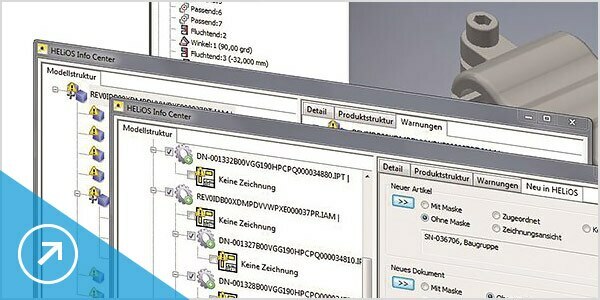 As a multi-CAD capable PDM system, HELiOS offers a comprehensive interface solution for various CAD systems. 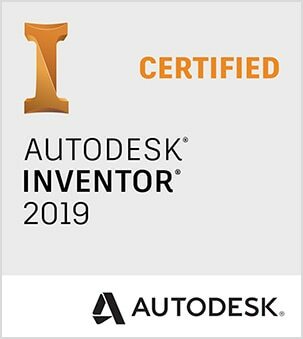 Currently available are, for example, standardized interfaces to the CAD systems HiCAD, Autodesk® AutoCAD® and Autodesk® Inventor®. The ISD Group is one of the leading providers of comprehensive engineering solutions with an optimally coordinated product portfolio consisting of CAD, PDM and automation software. Our software products HiCAD (CAD) and HELiOS (PDM) enjoy an excellent reputation as powerful, market-proven cutting-edge solutions.